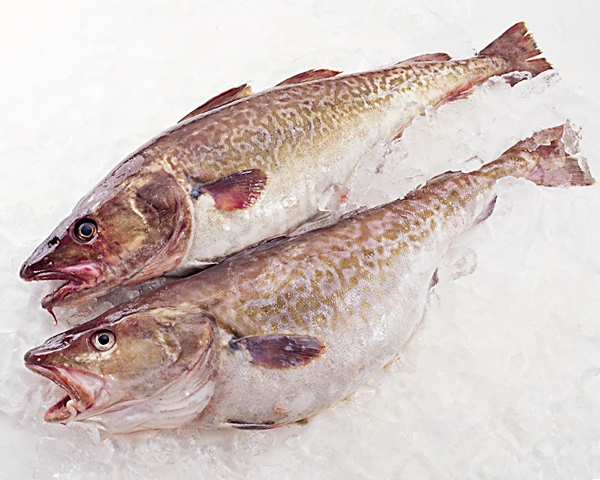 Cod, or “Tara/鱈” in Japanese reads a the “Snow Fish”. Unlike in many countries in Europe and North America, the fish is eaten fresh, raw or cooked in Japan, but practically never salted. Only the Norwegians can boast a difference as they eat the tongue of the fish as soon as they catch it! 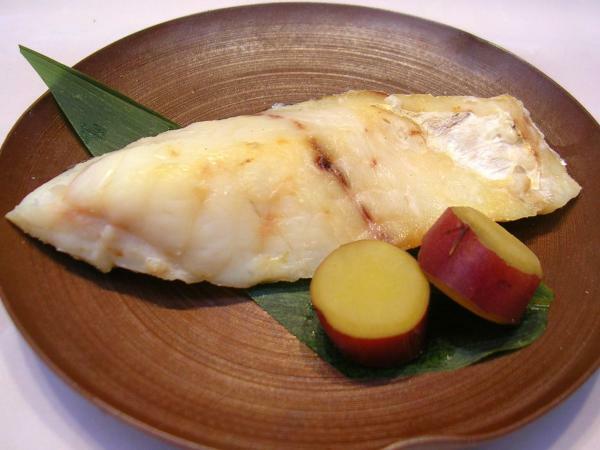 As other fish in Japan, it is called different names: Ibodara, Maidara (Toyama Prefecture), Ara (Nagasaki Prefecture) as far as “Madar” or “True Cod” is concerned. 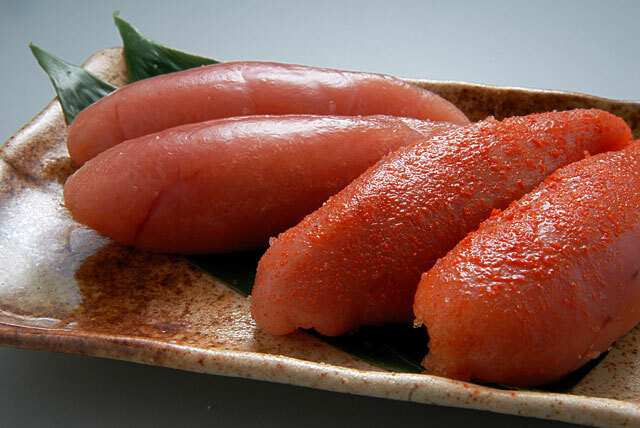 There are other varieties as is shown below in sushi pictures. It is mainly caught in the Sea of Okhotsk in Winter. The average total Cod catch is 437,000 tonnes, 55.000 of which is “True Cod”. Imports average annualy 152,000 tonnes mainly from the US and Russia. It makes for great sashimi. But it is also equally appreciated cooked, especially grilled or in “Nabe/Japanese-style pot au feu”. Gintara/銀鱈 Cod variety as sushi nigiri. 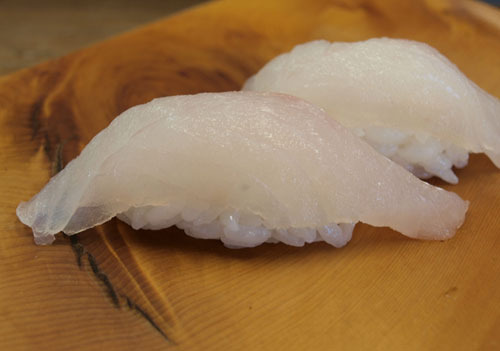 Higetara/髭鱈 Cod variety as sushi nigiri. Madara/真鱈 Cod as sushi nigiri. 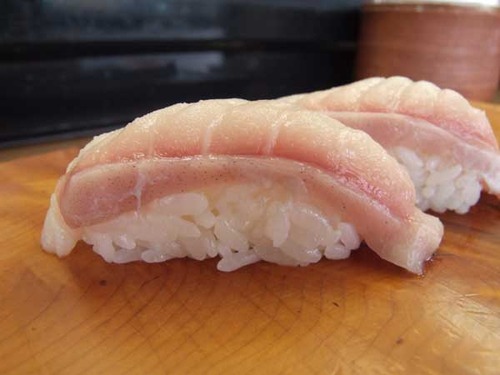 As shown above, many varieties of tara are greatly appreciated as sushi, especially nigiri. 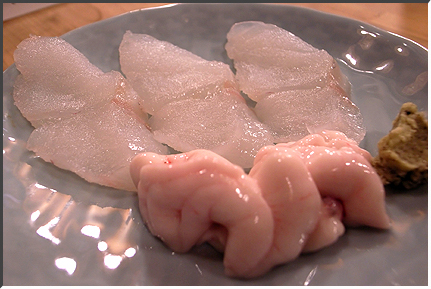 Shirako/白子, or the sperm sacs of the male fish, is an extremely popular delicay in Japan. It is either served raw or lightly boiled as in above picture with ponzu, chopped leeks and momijioroshi/grated daikon with chili pepper. 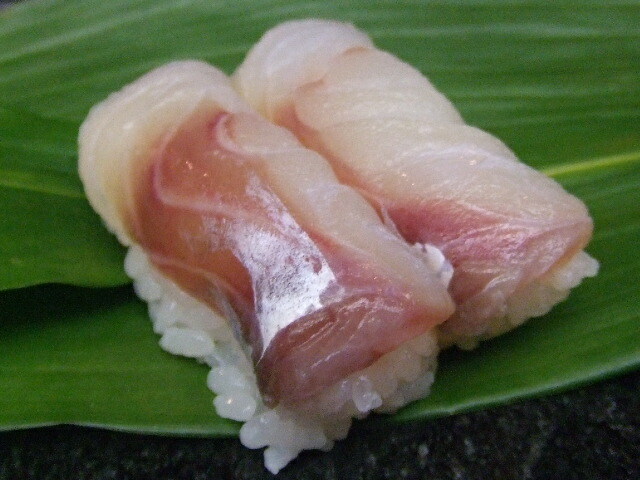 Shirako is also very popular served as sushi in gunkan shape as above. It becomes another delicacy when grilled. French and Italian Restaurants in Japan also extensively use it sauteed or in gratin! 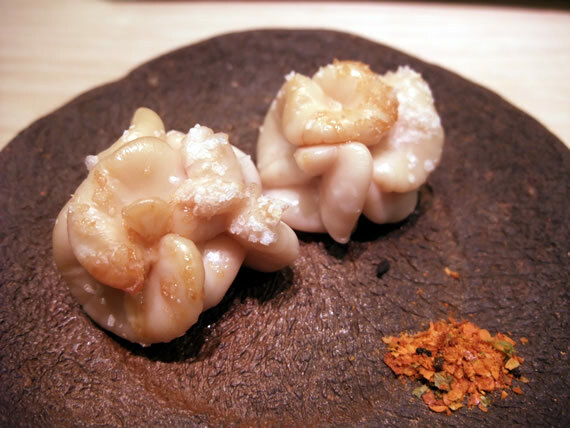 The roe sacs of the femal fish is also a very popular (and expensive) delicacy especially when preserved in chili pepper (as above) and sold as Mentaiko/明太子! 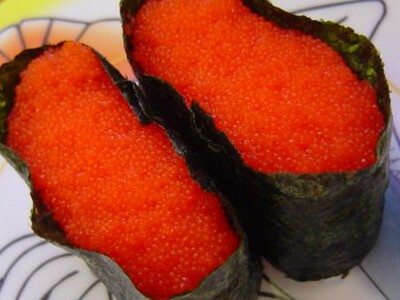 The same roe is also served as “Tarako/鱈子”, especially in the sushi gunkan form!